Do people tend to live within their own ethnic groups? There are many policies around the world designed to encourage ethnic desegregation in housing markets. In Chicago, the Gautreaux Project (the predecessor of the Moving To Opportunity program) offered rent subsidies to African American residents of public housing who wanted to move to desegregated areas. Germany, the United Kingdom, and Netherlands, impose strict restrictions on where refugee immigrants can settle. Many countries also have “integration maintenance programs” or “neighborhood stabilization programs” to encourage desegregation. These policies are often controversial as they are alleged to favor some ethnic groups at the expense of others. Regardless of the motivation behind these policies, knowing the welfare effects is important because these desegregation policies affect the location choices of many individuals. I am interested in one such desegregation policy in Singapore: the ethnic housing quotas. Using location choices, I analyzed how heterogeneous households sort into neighborhoods as the ethnic proportions in the neighborhood change. To do this at such a local level I had to assemble a dataset of ethnic proportions by hand-matching more than 500,000 names to ethnicities using the Singapore residential phonebook. The ethnic housing quotas policy in Singapore is a fascinating natural experiment. 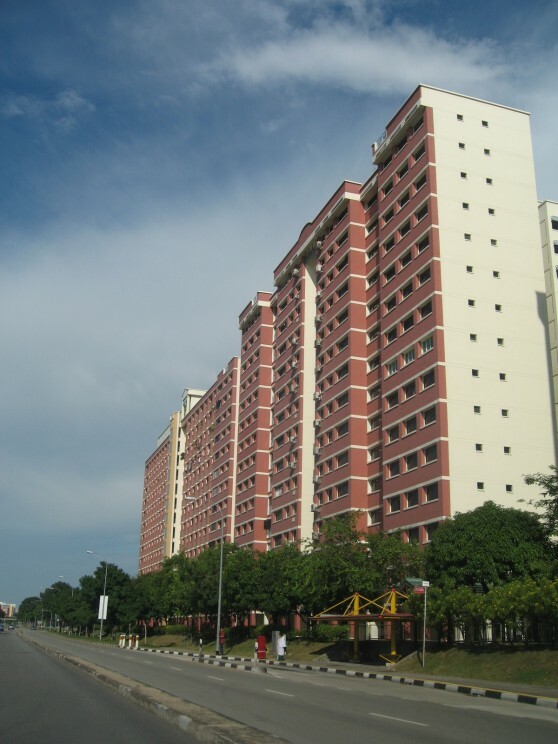 It was implemented in public housing estates in 1989 to encourage residential desegregation amongst the three major ethnic groups in Singapore: Chinese (77%), Malays (14%), and Indians (8%). The quotas are upper limits on the proportions of Chinese, Malays, and Indians at a location. Locations with ethnic proportions that are at or above the quota limits are subjected to restrictions designed to prevent these locations from becoming more segregated. For example, non-Chinese sellers living in Chinese-constrained locations are not allowed to sell to Chinese buyers because this transaction increases the Chinese proportion and makes the location more segregated. Using transactions data close to the quota limits and controlling for polynomials of ethnic proportions calculated using the phonebook, I documented price dispersion across ethnic groups that is consistent with theoretical predictions of the policy’s impact. The findings suggest a model where Chinese and non-Chinese buyers have different preferences for Chinese neighborhoods. Indeed, my estimates show that all groups have strong preferences for living with members of their own ethnic group but the shapes of the preferences are very different across the three ethnic groups. All groups have ethnic preferences that are inverted U-shaped but with different turning points. This means that once a neighborhood has enough members of their own ethnic group, households want new neighbors from other ethnic groups. Finding tastes for diversity and differences in the shapes of ethnic preferences is consistent with previous research using data on racial attitudes from the General Social Survey in the United States and also surveys of ethnic relations in Singapore. I used these estimates of ethnic preferences to perform welfare simulations. The seminal work by Thomas Schelling on tipping showed that externalities exist in a model with ethnic preferences because a mover affects the utility of his current and future neighbors by changing the ethnic composition of the neighborhood. Due to these externalities, Schelling showed that policies such as the ethnic quotas could potentially be used as a coordination mechanism to achieve equilibrium with integrated neighborhoods. My welfare estimates show that under the quota policy, about one-third of neighborhoods are close to the optimal allocation of Chinese, Malays, and Indians respectively. Maisy Wong is Assistant Professor in Real Estate at Wharton, University of Pennsylvania. 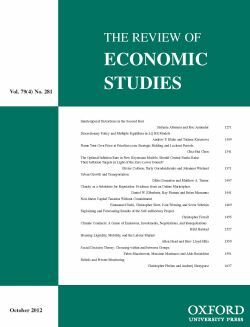 Her paper, ‘Estimating Ethnic Preferences Using Ethnic Housing Quotas in Singapore’ can be read in full and for free in The Review of Economic Studies. Image credit: HDB flats at Tampines New Town. By Terence Ong. [Creative Commons], via Wikimedia Commons. It may be additonal factors that is playing certain rolles in creating and developing such a trend on their view concerning the issue of mixed ethnic formation in residential communities among the residents living there. I should think that depending on the age of the residents, their view on the issue of amalogamation of housing by ethnic groups in community may vary.